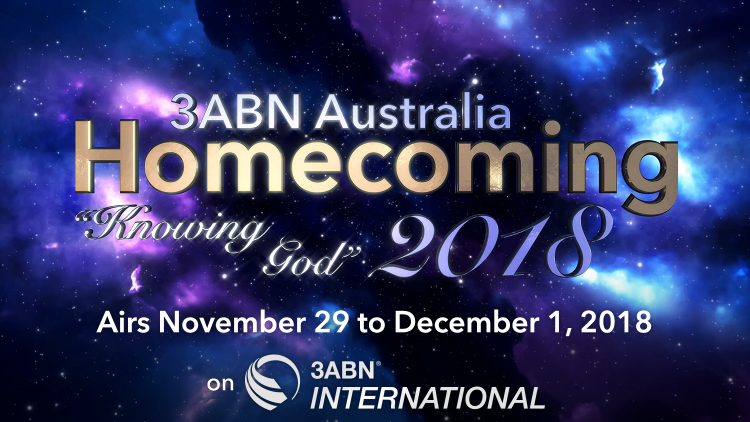 3ABN Australia Homecoming 2018 Airing November 29! Last month, we held our 3ABN Australia Homecoming 2018 event at Avondale Memorial Seventh-day Adventist Church in Cooranbong, NSW. With the theme, “Knowing God”, it featured 13 power-packed sermons from local speakers and 3ABN Family, and congregational singing with Tim Parton. Two concerts were held, including the “From Calvary to Glory” concert on the Saturday night. Those who attended have told us that it was a wonderful blessing for them, with a 3ABN USA style “camp meeting” down-under! All of these programs will air on 3ABN International from Thursday, 29th November to Sunday, 2nd December, 2018. The broadcast times are listed below. You won’t want to miss these programs! This information is correct at time of publication and is subject to change without notice. All times Australian Eastern Daylight Time (UTC+11). Please convert for your time zone (WA – 3 hr, SA – 30 mins, NT – 1.5 hr, QLD – 1 hr, NZ + 2 hr).